The Delaware River Waterfront Corp is pleased to announce Waterfront Winterfest. 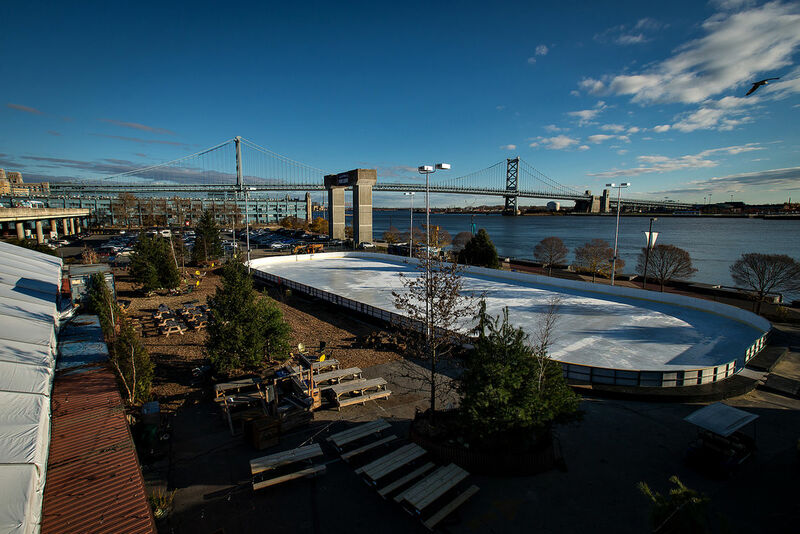 To celebrate the 20th anniversary of the Blue Cross RiverRink, and 20 years of continued sponsorship by Blue Cross, DRWC is working with some of Philadelphia's most creative individuals to transform the rink for the holiday season. For 37 days between Thanksgiving and New Year’s Eve, the waterfront will hold a pop-up holiday village. The grounds will be designed by David Fierabend of Groundswell Design and will feature a 500 person warming tent created from recycled shipping containers surrounded by a garden oasis of pine trees, fire pits, and of course, the ice skating rink. The tent will house a restaurant with acclaimed Philadelphia chef George Sabatino serving a new take on winter favorites. · 11am-1am, Nov 29-January 5. · Christmas Eve, Christmas Day, New Year's Eve and New Year’s Day will have special hours TBA. The Blue Cross RiverRink will be celebrating its 20th anniversary, as well as 20 years of Blue Cross sponsorship. The rink will operate between 11AM-1AM 7 days per week. The restaurant will be a 400-person warming tent, which will evoke an American style beer garden with chef George Sabatino serving a new take on winter favorites. Other partners from the Philadelphia culinary scene will contributing their talents throughout the Waterfront Winterfest. Bright Lights, Big Santa will be an immersive 3D light show designed and created by Ricardo Rivera of Klip Collective. The show will re-imagine the age-old holiday light show with Klip’s patented projection-mapping technology. Playing every evening on the hour, from 5-11PM, this musically synced light show will feature a festive mash-up of color, lights, hip hop beats, and dancing elves. Megan Brewster and Erin Waxman from the award winning Art Star Craft Bazaar at Penn's Landing and Art Star Gallery + Boutique will be curating a winter themed retail experience housed inside repurposed shipping containers. These rotating vendors will feature kids items, clothes, jewelry, posters, pottery and more, perfect for the holiday season. The craft village will be open Friday-Sunday, with additional days holiday week. Please visit their website for the full schedule. 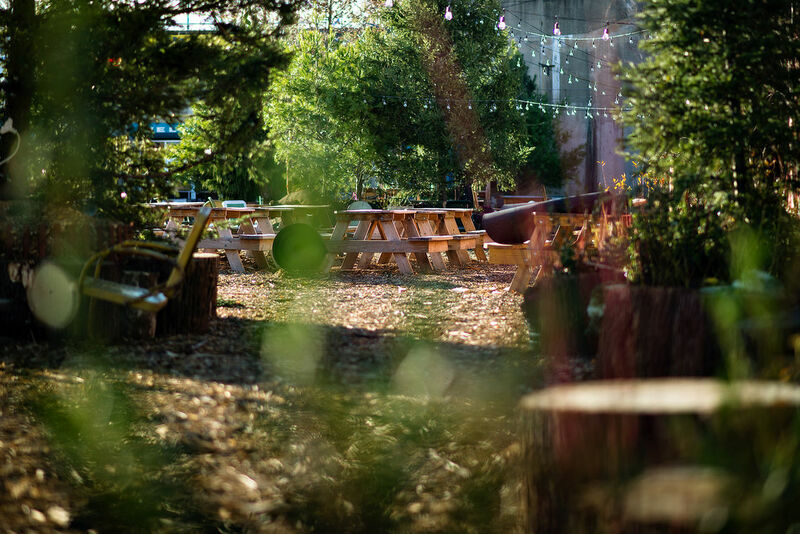 Groundswell Design Group, a landscape architecture design/build firm founded by David Fierabend will be creating a "pop-up" style seen at the PHS Pop Up Beer Garden in Center City. The skating rink location will be transformed into a winter festival with shipping containers repurposed into retail shops, and food and drink served amonst a recreated forest setting with pine trees, fire pits, rustic seating and signage.